Craig is a Director in our in-house legal team. He works with in-house legal departments across the North West of England and he specialises in the recruitment of legal, contract management, compliance and company secretarial professionals at all levels, on both a permanent and temporary basis. Clients that Craig has assisted, often multiple times, include: AppSense, AstraZeneca, Autoglass, Balfour Beatty, BAE Systems, Compass, DHL, Ecotricity, Elior, Homebase, Homeserve, Impellam Group, Johnson-Matthey, LateRooms, Liverpool Airport, Lookers, Mercedes-Benz, Michelin, Molson Coors, Nissan, Phoenix Group, Randstad, Redrow, Saint-Gobain, Sellafield, Software AG, Speedy Hire, The Hut Group, Thermo Fisher, Thomas Cook, Tyco, University of Manchester, Vestas, Volkswagen Financial Services, Vue and Yodel. Craig completed his Economic & Social History degree in 2001 and upon graduation joined a FTSE 100 retailer as a management graduate. In 2007 he moved into legal recruitment with a FTSE 250 recruitment company and since joining BCL Legal in 2011 he has established himself as a key recruitment contact for organisations in the North West (and latterly the Central & South East regions). Craig is relentless! When he is given a role to fill, no matter how challenging the location or brief, he will find a suitable candidate – this is something that his clients really appreciate and value. 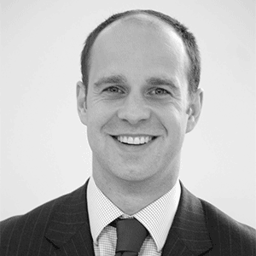 He is not fazed by difficult or unusual briefs and his experience of working across the North West, Central, Midlands and South East regions has given him an in-depth understanding of the in-house legal market. His non-London centric approach works extremely well for clients in the regions and it has allowed him to successfully assist clients throughout the North West and beyond. Craig and the in-house team are committed to helping develop the sector and the legal professionals who work within it. As part of this commitment, Craig and the team regularly runs CPD accredited training courses in conjunction with The C&I Group and leading law firms including Addleshaw Goddard, Boyes Turner, Browne Jacobson, DLA Piper, DWF, EMW, Pinsent Masons and Shoosmiths. The courses range from legal updates to ‘softer skill’ developmental programmes. Since 2003 BCL Legal has become one of the leading legal recruitment consultancies and in that time the in-house team has placed over 2000 legal and compliance professionals in-house.